Nashville, Tenn. (October 13, 2017) — Grammy Award-winning country music group Shenandoah hits radio airwaves with brand new music today. The world premiere of the legendary group's new single, "Noise," airs today at 4:50 PM central time exclusively onSiriusXM Prime Country (Ch. 58). An interview with radio personality Mike Terry and a live performance of the band's biggest hits will follow the debut. 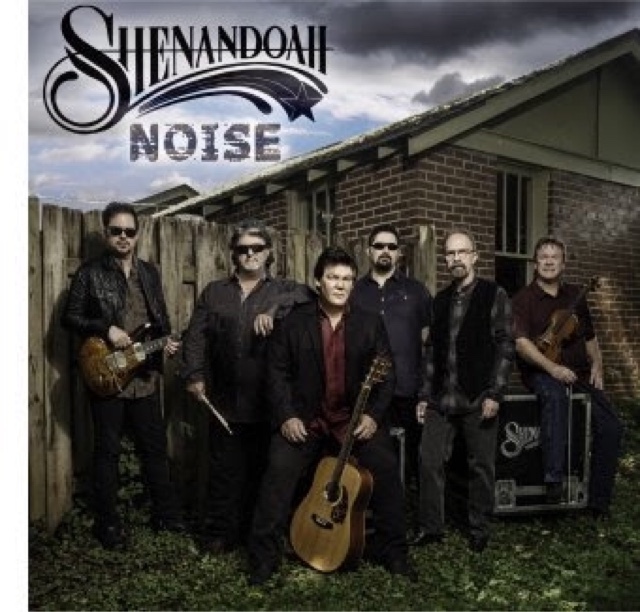 Shenandoah recently inked a recording contract with BMG for the new single and forthcoming album. The single marks a historic moment for Shenandoah. It's been 20 years since the group has released new music to country radio. "Having the fortunate opportunity to get a record deal with BMG after 30 years of being in this business is beyond exciting," says Shenandoah lead singer Marty Raybon. "The new music has given flames to embers that have burned since we started in 1987. It's been 20 years since our last recordings. The new music is fresh, up to date and allows us to continue where we left off. We feel like we still have so much to say when it comes to music and it gives us the joy of sharing it with country music fans all over the world." Rascal Flatts' Jay DeMarcus, a longtime friend of the band, produced the new song. Shenandoah's Mike McGuire adds, "Special thanks to Jay DeMarcus for taking such an interest in Shenandoah to produce this song on us. If it hadn't been for him, we'd have never gone in the studio to do this project. He struck the perfect balance of keeping our original sound and at the same time, making us sound current." Shenandoah fans can catch the group performing live on their 30th Anniversary Tour throughout the remainder of the year.